See the Pen Web Component with Global Styles (because no Shadow DOM) by Chris Coyier (@chriscoyier) on CodePen. inside of it. But the styling of that button comes from global CSS applied to that page. See the Pen Web Component with Local Styles by Chris Coyier (@chriscoyier) on CodePen. Note that the functionality still works (although we had to querySelector through the shadowRoot), but we’ve totally lost the global styling. 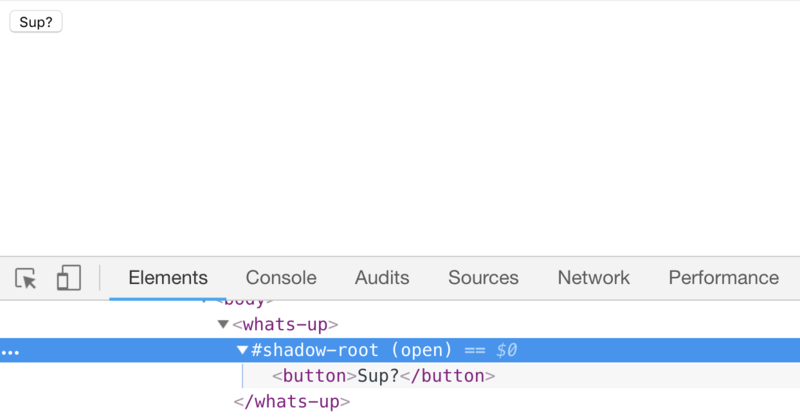 The Shadow DOM boundary (shadow root) prevents styling coming in or going out (sorta like an iframe). There is no global way to penetrate that boundary that I’m aware of, so if you want to bring styles in, you gotta bring them into the template. If that’s you, you’ll probably need to @import whatever global stylesheets you can to bring in those global styles and hope they are cached and the browser is smart about it in such a way that it isn’t a big performance hit. See the Pen Web Component with Custom Properties by Chris Coyier (@chriscoyier) on CodePen. The post Styling a Web Component appeared first on CSS-Tricks.